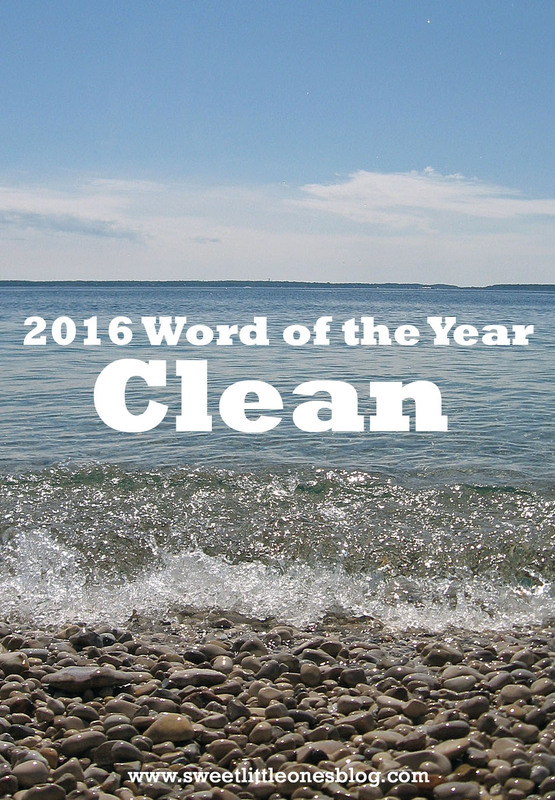 When I sat down to pray about what my word of the year would be, one immediately popped into my head: CLEAN. My reaction? Well, that's a weird word to represent my year ahead. Is God trying to tell me my house is messy? Then, it hit me. Why, yes. My house as in my heart, mind, and soul which house Him. and my serious medical issue returning along with the fear of what will come next. We definitely had joyous times too, but I admit that the trials really piled up and bogged me down with fear and anxiety. Unfortunately, my typical response to these feelings is to hide. Because if I ignore my fears, they will just disappear, right? I haven't been keeping my heart, mind, and soul clean. They're dusty and full of cobwebs from neglect. I've been filling up my time with distractions to keep my mind off of my trials instead of seeking peace and finding rest in Him. But in 2016, this will change. Clean, white, blank, clear, pure, washed. Exactly what my heart, mind, and soul need. I want to say once a month, but I'm going to say once every other. But hopefully, I can go more often than that! There really isn't a more peaceful feeling than leaving the confessional with a sparkling white soul. The TV, social media, and cell phone use need to go way down. So I've set up a certain number of times per day or week for each one. Clear out the pile of distractions; make room for family, prayer, God. Trying does count for something. Worship, prayer, etc. does not have to be perfect. I will not get a lot out of Mass right now. Prayer time will not always be quiet, and it might only last a few minutes here and there throughout the day. It's the stage I'm in with 3 little ones. I need to be realistic instead of feeling like a failure when I can't do what I used to when I was single or childless. God just wants us to spend time with Him. Pure praise and worship of Jesus Christ in the Flesh. From my childhood up until my daughter became noisy several months old, I went to Adoration often. At many points in my life, I went weekly. I know that it's hard to do with kids, so I'm not saying that I'll go weekly or for long stretches of time, but just that I need to go. Sitting in His Presence always clears my mind and strengthens my heart and soul. Rejoice in my many blessings. Because I so heavily focused on my trials this past year, I need to shift that focus back to God's many blessings in my life. I will start a Blessings Jar or Journal with my family. When my anxieties start to well up in me, I'll read these to turn my thoughts to prayers of pure thanksgiving and love. Now, this weird word has now become the perfect word for me for this upcoming year. How about you? Do you have a word for the year? What goals will you be working on in 2016? May God bless us all this upcoming year! P.S. I might as well pick a song for the year too, right? "Wash me white as snow, and I will be made whole. 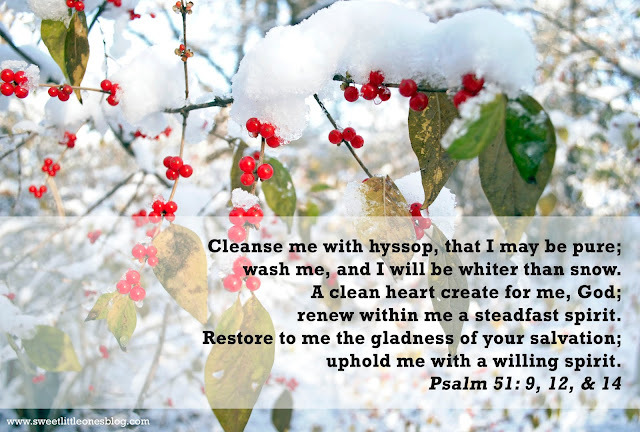 Would you create in me a clean heart, O God? Restore in me the joy of your salvation..."
I just know you'll love it too.